Tackle a variety of garden jobs with this Honda multi-tool package. 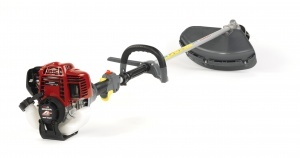 Supplied as a package including a hedge trimmer attachment alongside Honda's UMK 425 LE loop-handled petrol brushcutter, you will be able to trim hedges and undergrowth with this great-value kit. 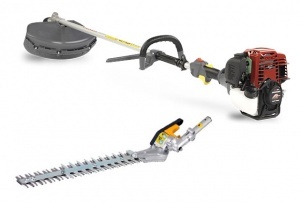 This brushcutter and hedge trimmer multi-tool kit is a tough and reliable 4-stroke package. Driven by a unique six-splined drive shaft for added strength, increased torque and improved power delivery, the UMK 425 LE represents a fantastic machine. Honda have designed this tool to work in rough, harsh and dirty environments, with a heavy-duty, shock-resistant transmission unit, and have built it to last longer - backed up by their exceptional warranty (5 years domestic, 1 year commercial). This model has a commercial-quality 25cc GX25T 4-stroke OHC engine. Supplied with both the main brushcutter and engine unit, plus a double-sided hedge trimmer attachment, this kit gives you the flexibility to handle a wide range of garden jobs. With the brushcutter, you can use either the Tap N Go nylon line head, allowing you to renew the line as it wears simply by tapping the head on the ground (and without stopping the engine), or a 3-tooth metal blade, perfect for tougher challenges. 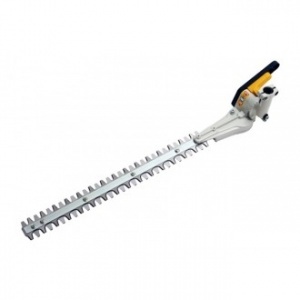 Because you also have the double-sided hedge trimmer attachment, you can use it to cut hedges both ways, while the blades are protected by an anti-snapping guard and can be rotated through -90˚ to +90˚ so that you can easily access hard-to-reach areas. With this kit, you can effectively get a long-reach Honda hedge trimmer for a fantastic price. This is an easy machine to start with a super-light flywheel, a quiet and smooth running 4-stroke engine that gives light and compact operation, and the lowest emissions in the industry. Thanks an an anti-vibration clutch, you are insulated from fatigue-intensive vibrations, while it includes a comfort harness and adjustable handle to suit your style. 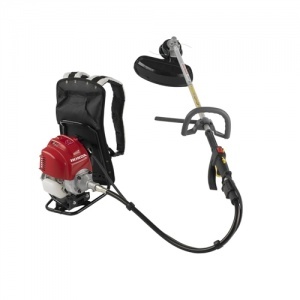 It also has a leg guard and quick release hook holder to increase your operational safety. As a 4-stroke machine, you don't have the hassle of mixing fuel and oil, unlike competing machines, for easier operation all round. Comes with a 5 year conditional domestic warranty and a 1 year conditional professional warranty. 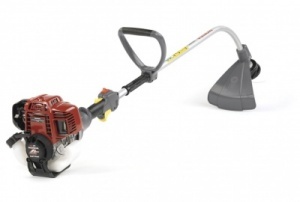 This package comes with Honda's 35cc loop-handled petrol brushcutter, as well as an additional hedge trimmer attachment that lets you tackle light and heavy grass, as well as hedges in your garden, even in hard-to-reach areas. 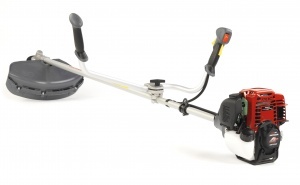 Honda UMK435UE Brushcutter with bike handle. 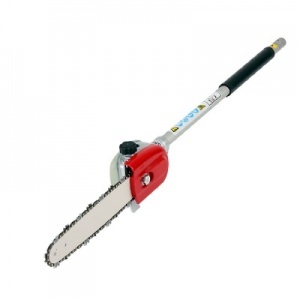 Honda UMK435LE Brushcutter with loop handle. 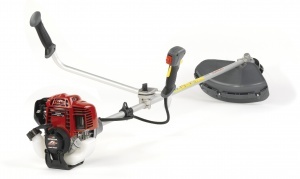 Honda UMK425UE Brushcutter with bike handle. 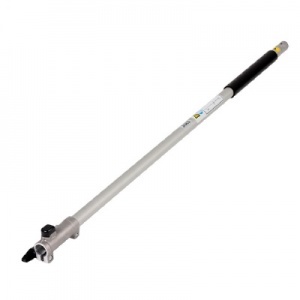 Honda UMS425LN Trimmer with bent shaft.